While most people know that it is really important to keep themselves hydrated but most don’t realise they can take that one step further for better health simply by drinking lemon water or lime water first thing in the morning. Tomorrow, March 22, is World Water Day and while it is about water co-operation practices, what better day is there to start to improve our own personal hydration practices? The way you begin each day is really important as it sets up whether you either increase or reduce your resistance to disease. Starting out each day being properly hydrated obviously stops dehydration, but it also has many other health benefits. These include kick-starting your digestion and toxin elimation for the day and helping prevent adrenal fatigue. Adrenal fatigue is becoming far more common in these times of high stress living. Adequate water intake is essential for the proper elimination of toxins from your body. When you’re dehydrated it becomes really difficult for your body to eliminate waste products which leads to a toxic buildup. You start to feel stressed, to get constipated, to develop arthritis, get outbreaks on your skin and many more problems. In addition your body stores more fat when you’re dehydrated due to added stress on the kidneys and liver so they do not perform at their best. One very simple practice to boost your intake of water that can be surprisingly helpful comes from Yogic or Ayurvedic practice, where it was used to stimulate the digestion and eliminate the toxic slime, called ama, that builds up in the gastro-intestinal tract. 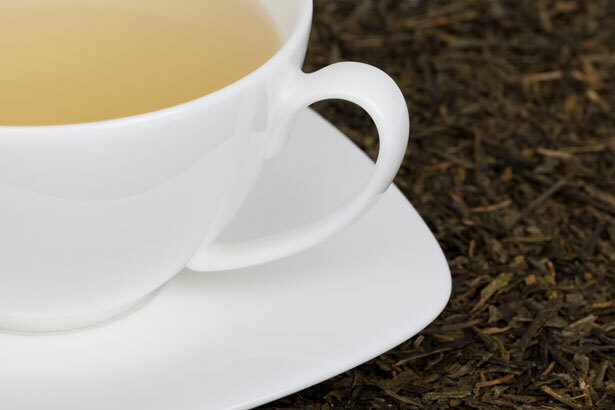 It is the simple practice of drinking a mug of warm water with lemon or lime squeezed into it first thing in the morning. This helps to activate your body’s detoxifying process and also its natural cleansing processes. Your liver loves warm lemon/lime water because it purifies and stimulates your digestion and toxin elimination by liquefying bile and inhibiting excess bile flow. The liver is able to produce more enzymes from lemon/lime water than from any other food to promote better digestion. Your liver works very hard and is crucial to the function of many other body processes – a little lemon/lime support and nurture leads to a healthy and happy liver. Warm lemon/lime water increases the acidity of your digestive system as it’s very similar to saliva and the digestive juices in the stomach which break down food. It improves your body’s ability to absorb nutrients. An extra benefit of this process is to help with reducing hunger, great for weight loss. Warm lemon/lime water helps your bowels to eliminate naturally and easily, reducing constipation. It also helps dilute accumulated the uric acid which causes arthritis or gout when it builds up in the body. By supporting the liver in its detoxifying role it helps prevent acne. It gently flushes your kidneys and cleanses your lymphatic system, another channel for the elimination of toxic waste products. Lemon/lime water has an alkylizing effect in the body. Yes, even though they taste acidic they have an incredibly alkaline effect inside your body once they are metabolized! Even drinking lemon water just before any meal will help your body maintain a higher pH than if you didn’t drink it. When your body has a higher internal pH, that is, it’s more alkaline, it’s far more resistant to most major (and minor) diseases which thrive in an acidic environment. Cancer cells for example breed better in an acidic environment. Lemons and limes are high in potassium which is a mineral that works alongside sodium and is vital for the smooth working of the nervous system and brain. Low potassium levels can lead to depression, anxiety, forgetfulness and brain fogginess as well as muscle cramps and heart arrhythmias. Potassium is crucial for heart health and can help prevent stroke. 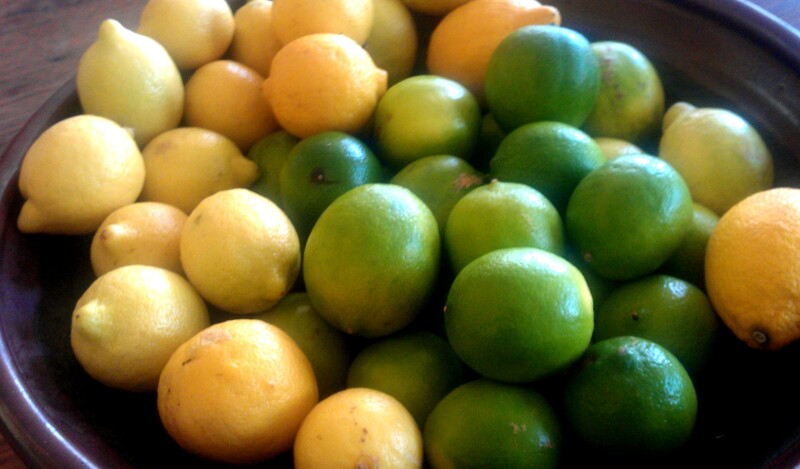 Lemons and limes contain good ratios of calcium and magnesium in plentiful quantities. These minerals work together to prevent many health problems. One lemon has 30.7mg of the antioxidant Vitamin C which is great for fighting off colds and chest infections. Lemons and limes have very high levels of the antioxidant Hesperidin which is anti-inflammatory and believed to have anti-cancer activity. Lemons are high in pectin fibre which helps fight hunger cravings. By cleaning out toxins and internal waste they help speed up weight loss, and in addition promote quick bursts of energy. Because the effect works proportionally, the more you drink the more weight loss should speed up. If you replace your other drinks with lemon water you also have the advantage of a zero kilojoule drink. Take lemon water first thing in the morning on an empty stomach, before eating or drinking anything else. Squeeze half a lemon or lime into half a glass of warm water, stir it and drink. The water will turn cloudy when you add the lemon or lime. It’s good to then wait between half to one hour before you eat to get the best results. Don’t use bottled lemon or lime juice – use fresh fruit. If you want even more from your lemon/lime water you could really spice up your metabolism by simply adding a pinch of ground cinnamon and a pinch of ground ginger. The cinnamon is a great addition if you have any issues with blood sugars. This is such an easy habit to adopt, it’s cheap, easy and certain to build your health. Try it out for a month and see how it can radically change how you start your day. 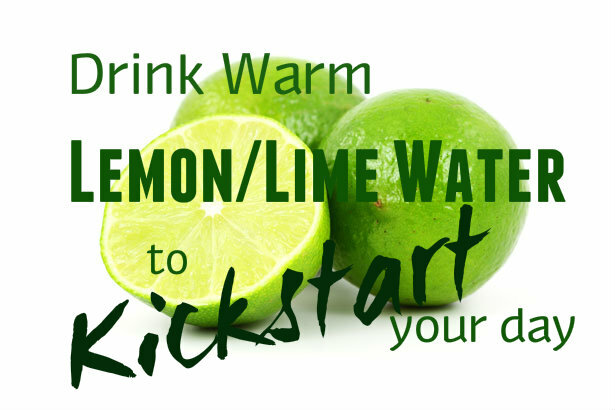 Which of the benefits that warm lemon/lime water offers would be the one to get you started on drinking it daily? Tell me in the comments below. Or is you already know and love lemon water what benefits have you noticed? Previous PostSure-fire Strategies to Stop The After-lunch ‘Sleepies’Next PostHow Come So Many No Longer Eat Gluten? I have recently found an information that lemons have much more benefits that we think. With doing a massage with lemon’s crust on your skin, you can motivate all your dead cells goes alive again. I can’t find the resource, but you can try. There is nothing to lose. Wonderful antioxidant just recently stopped cymbalta and has severe withdrawals , oh this helped within a matter of days , love it. Now I intend to drink it daily am overweight and gonna try the ginger and cinnamon but I use limes in our house on a daily basis as cooking, drinking whatever but I keep them, in the kitchen anyway. In Latino stores they are fresher and much more cheaper.